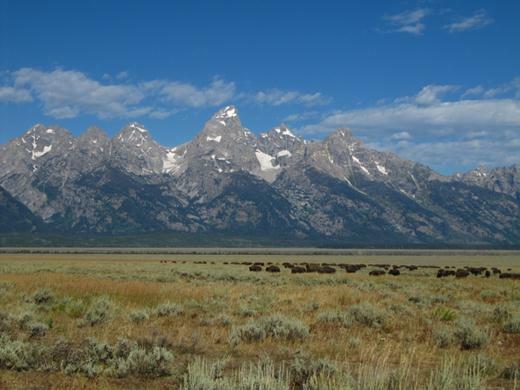 The main thing to see at Grand Teton National Park is the Teton Mountain Range. 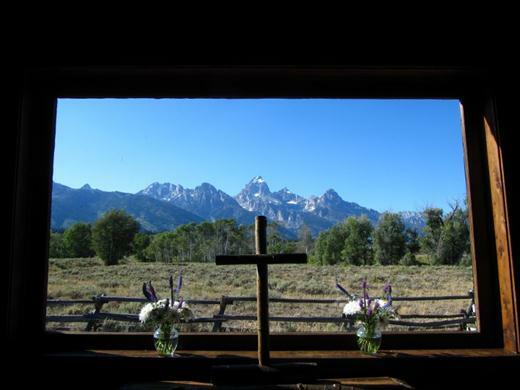 At the Chapel of Transfiguration the mountains are the main view through the alter window. 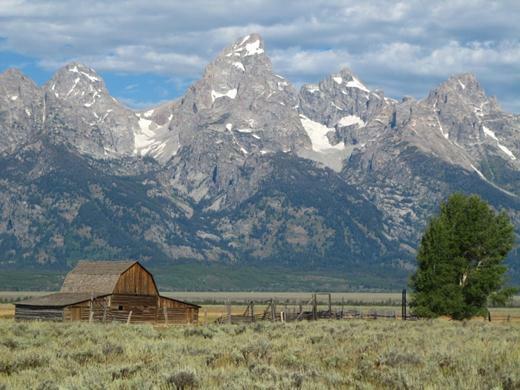 The sheer size of the Teton mountain range makes it spectacular. 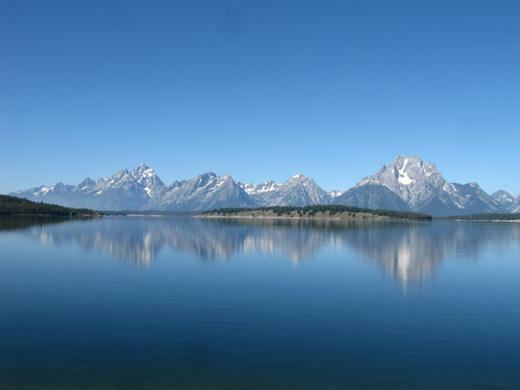 Take Mount Moran for example. That dark vertical dyke (dyke = channel where lava once oozed to the surface) is 150 feet thick! 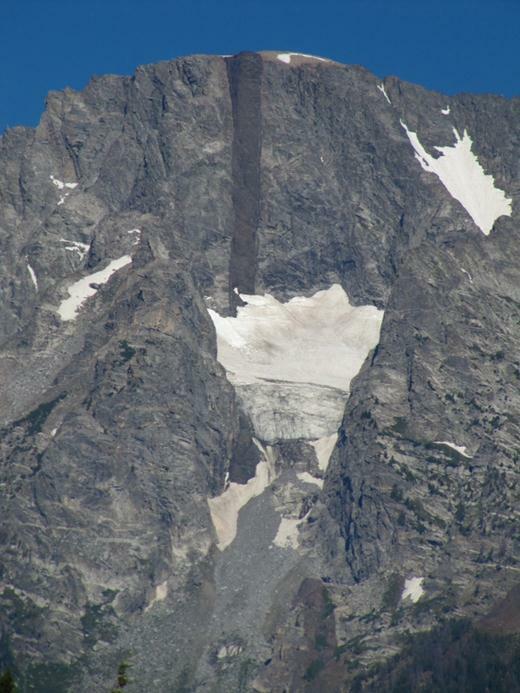 And that thick pile of snowy looking stuff is a actually glacier. 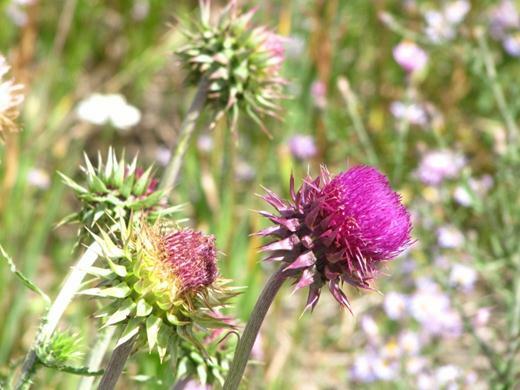 Even the thistles look great! 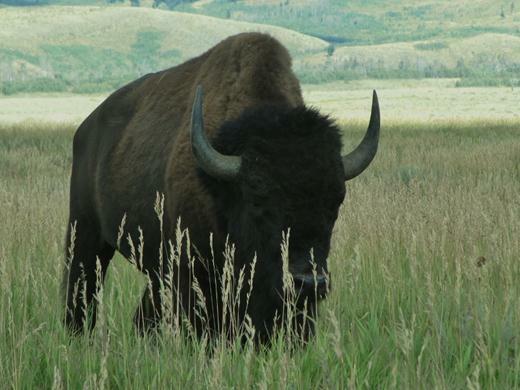 …they can weigh in at 2,000 lbs…so they pretty much rule to road if they decide to cross it. 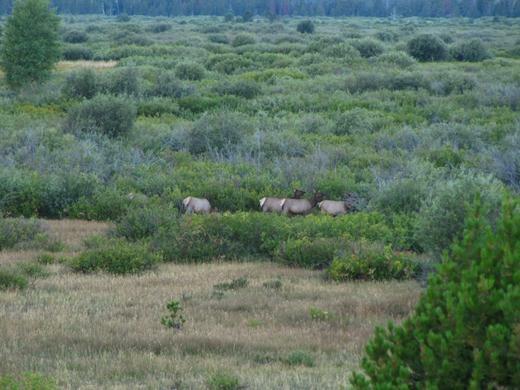 We also spotted some Elk in the distance. 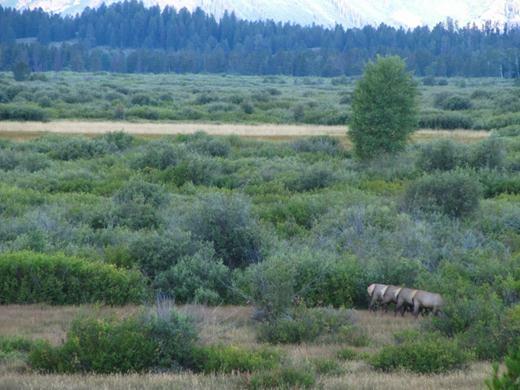 Here they line up for a family photo….four white bums! 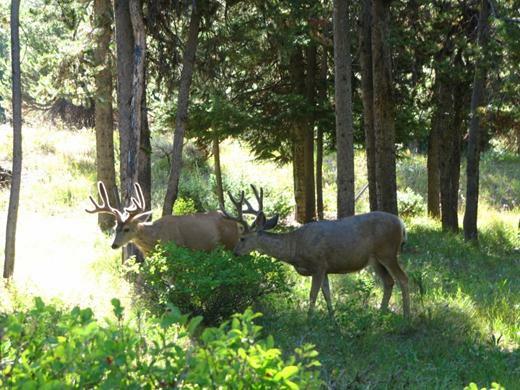 Did you know that Elk are also known as Wapiti by Native Americans – Wapiti translates to “white bum”! 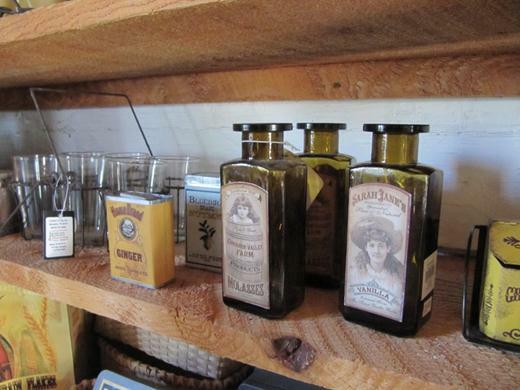 We also stopped by Menor’s Ferry Crossing where the original general store still operates. 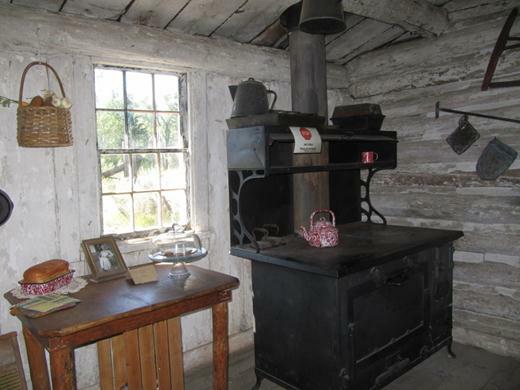 At 11:30 am every day they pull a fresh batch of cookies from the wood stove. 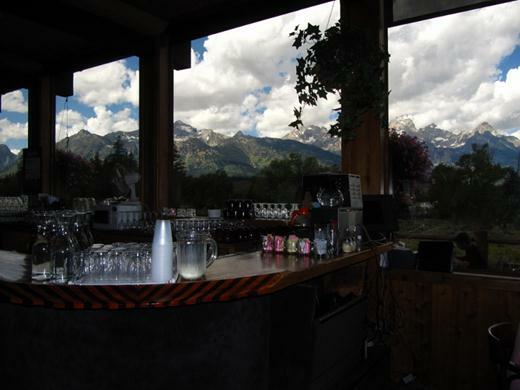 On our exploration of the park we discovered this amazing bar in the old settlement of Moose, WY – a small town of about six buildings. 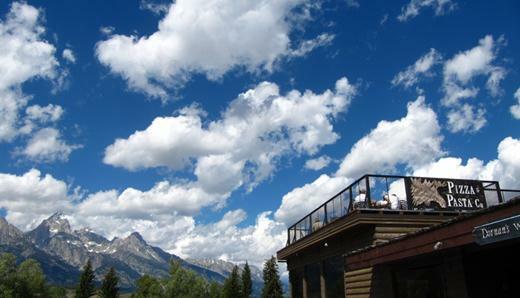 The upper deck is a great place to have a beer and an Elk burger while watching the sun set over the mountains. 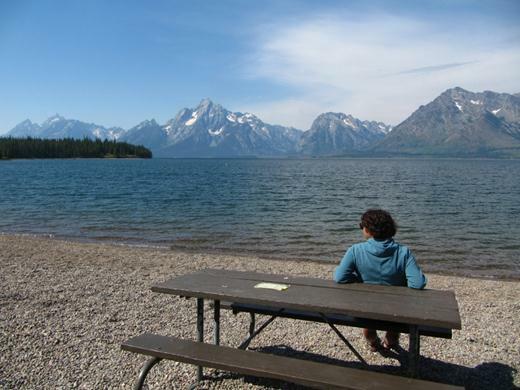 But we prefer the view from Jackson Lake. The beach was quiet, the water cool and the views spectacular! 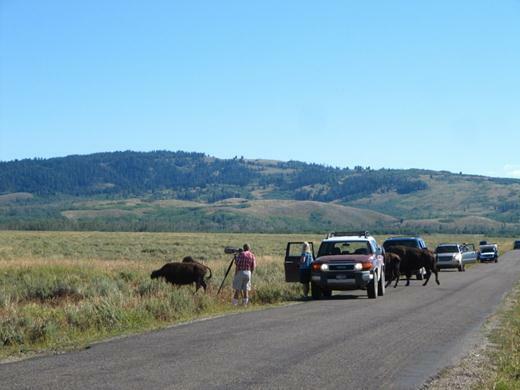 It was really tough to leave Grand Teton National Park but we had to hit the road. We have pictures from the rocky beach in the last photo from 25 or so years ago of our very young girls in towels following a very cool dip in the lake. Sweet memories!